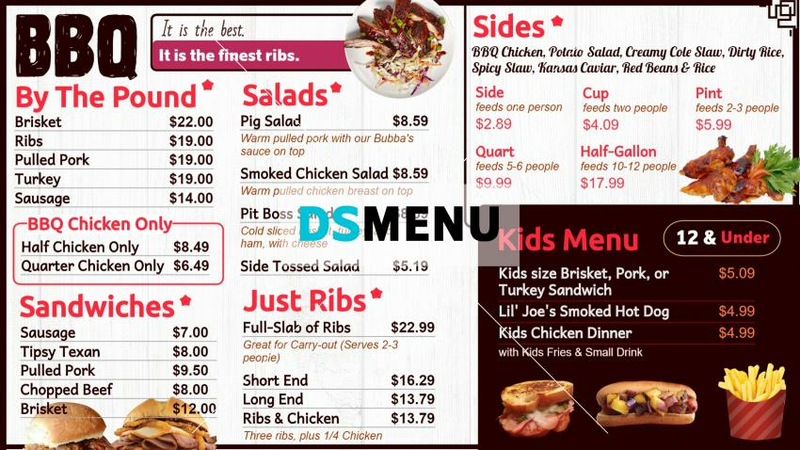 This exclusive barbecue menu board with a kids menu has a virtuosity of its own. The dark brown and white combinations are exquisitely placed on the menu board to create the desired impact. The lettering in red and dark brown add to its elegance. The menu is ably supported by meat dishes, sandwiches, a Kids menu and much more. When placed on a digital signage menu board the impact will certainly bring in the target customers for growth in business.